Messy desk, messy mind – goes the saying. Common sense has always dictated that a clean and organized work area improves your productivity. Now science is providing more direct evidence that a cluttered and messy workspace has real negative effects on your brain and organizing is important not just for productivity, but for your brain and mental health too. 14th Jan 2019 is Clean Off Your Desk Day in the USA. Why not make use of this occasion to take a look at your own workspace? Because mess can cause more harm than we give it credit for – here’s how. A messy desk typically contains a lot more things than you actually need. When you have visual clutter in front of you, your attention keeps shifting to a lot of things that are not important to your work, impairing your ability to focus on the task at hand. Because of its effect on the ability to focus, visual clutter has a negative effect on your short-term or working memory as well. When your brain is constantly receiving visual and spatial information about more things than it needs to perform the task at hand, it becomes overworked and loses crucial information more quickly, thereby affecting your working memory. We make decisions by processing the information we receive through our senses. When our brain is receiving too much information, sifting through them to pick out the important ones becomes a more challenging task. This is why we often feel overwhelmed or confused when our desks are messy. Messy desks can have a particularly debilitating effect if you are suffering from stress or anxiety. Visual clutter gives the impression of a lot more work than we actually need to do. 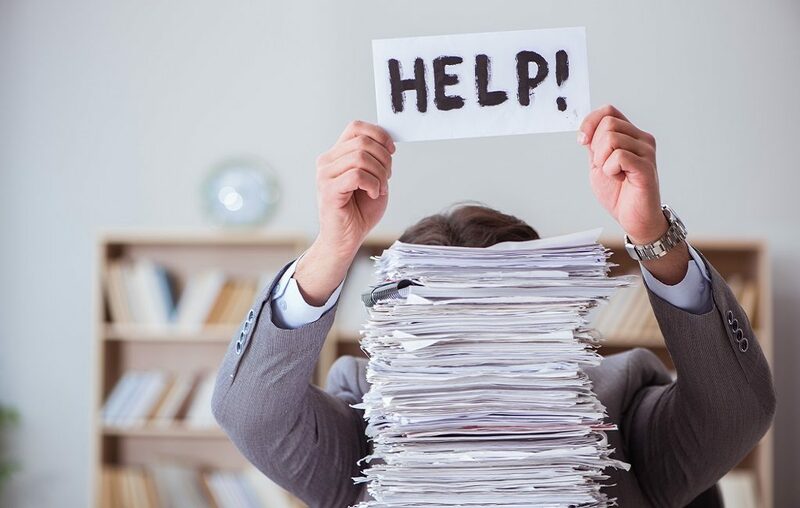 A pile of paper or files on your desk can give you a headache just by sight, but in truth, you might need to go through just a fraction of it. This signals your brain for the ‘fight or flight’ response mechanism and that increases cortisol level in your brain, leading to decreased motivation and creativity. Prolonged exposure to visual clutter can seriously drive up stress and give way to anxiety. When you need to manage multiple responsibilities in a limited time frame, a messy desk can be your worst enemy. Because there are too many unimportant things around, looking for the things you need always takes more time than it should need, thereby slowing you down. The information overload affects your working memory, so moving between tasks becomes more difficult and chances of mistakes a lot higher. So take some time to evaluate and sort out the clutter in your desk this Clean Your Desk Day. Discard the unwanted, the old, and the dirty. Organize the important items in labeled and designated spaces. Clean and sanitize your work surface and make space for some knick knacks – a photo frame, or some flowers maybe. And then tell us how calm and fresh it feels to go to work again! Happy cleaning! 6 Daily Habits that can Boost Brain HealthHug More – It can do Wonders for Your Brain!